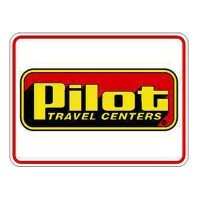 Pilot Flying J is North America’s largest operator of travel plazas and centers. The travel center chain continues to grow by delivering fuel and rest services. The company was founded on November 20, 1958 by James A “Jim” Hasmal II. He opened the 1st Pilot in Gate City, Virginia and paid $6,000 for the location. They now have more than 750 locations in over 40 states and six Canadian locations. Their headquarters is in Knoxville, Tennessee with more than 25,000 employees. They sell about 7 billion worth of fuel gallons yearly and serves more than 1 million guests daily. Full-time employees’ benefits include dental, medical, and vision coverage. They’re also entitled to tuition reimbursements and 401k retirement plans. Part-timers are also entitled to some medical benefits after a month of employment. Employees love working for Pilot Flying J because of the great pay and benefits. They also appreciate having room for career growth and advancement. The atmosphere in the workplace is fun, fast-paced, and exciting. How old do you have to be to work at Pilot Flying J? The minimum age requirement for entry-level positions in the company is 18 years old. Though, the age requirement differs for managerial positions and higher positions. The company offers full-time and part-time positions. They continue to grow so they aim to hire only the best employees that can deliver quality service to customers. They have tons of entry-level positions with plenty of career growth opportunities. They also hire veterans and college interns. Restaurant Prep Cooks/Cooks: Restaurant Prep Cooks are responsible for producing food in different restaurant concepts such as Arby’s, Taco Bell, Subway, Wendy’s, Pizza Hut, Chester’s Chicken, Dairy Queen, Huddle House and Moe’s. They ensure quality food products while keeping the restaurants clean. They provide customers with fast and friendly service. Cashier: Retail cashiers provide fast and friendly service at the sales counter. They operate cash registers and guide customers with checking out. Their other tasks include managing inventory and maintaining the cleanliness of the store. They should also efficiently follow orders from the management. Coffee Host: Coffee hosts are responsible for driving sales through the coffee bar. They prepare hot beverages like coffees and teas. They must also deliver quality customer service through recommendations and suggestive selling. They should also assist cashiers by maintaining the stores’ overall appearance and inventory. Deli Food Service Member: Deli Food Service Members are responsible for producing food and expediting hot deli products. They maintain cleanliness in the workplace and provide friendly customer service. They must work well with other employees to keep hot deli products well-stocked and clean. Driver Services Champion: Driver Services Champions provide driver customers with quality service. They’re responsible for fueling and directing traffic flow. They also troubleshoot issues and assists transactions at the fuel islands. They must be motivated to deliver services to satisfy even the most difficult customers’ needs. Maintenance/Housekeeping Staff Member: Maintenance staff members are responsible for the stores’ facilities. They keep the stores clean, organized, and stocked at all times. Their tasks include cleaning restroom facilities and repairing damages in the store. They also maintain shelves and inventory. It’s important to provide customers with well-maintained facilities to ensure quality service. Customer Service Associate: Customer Service Associates help customers by giving information or services they need. They ensure that customers have an enjoyable and beyond satisfactory experience while at the store. They also answer inquiries and help customers in whatever way they can. They must have a friendly attitude at all times. Crude Oil Transport Truck Driver: Crude Oil Transport Truck Drivers drive large oil tanker trucks to their required destinations and schedules. They must drive an average of 2,750 to 3,000 miles per week. They enjoy excellent pay and being home on the weekends. They also enjoy many health and retirement benefits. They do not require any endorsement. Service Technician (HVAC/R & Commercial Restaurant Equipment): Service Technicians need to maintain equipment for heating, ventilation, air conditioning, and refrigeration. They must complete repairs as quickly as possible to not interfere with the daily business. They must be ready to be on call when any damages suddenly come up. Mobile Tire Technician: Mobile Tire Technicians must know how to drive an F-350 service truck. He must also have an understanding of commercial truck tires’ brands, sizes, and models. They remove and install tires, and must also be ready for other tasks that may be assigned to them. Interested applicants may submit their resume and application forms in the stores. They must go through open interviews that applicants should be prepared for. They should answer questions that will make them stand out from the other applicants. Online applications are also available. They can apply for two positions online. They must answer more than 50 questions about their personality and employment potential. They also have a short math test which is important especially for retail cashier applicants. It is important to make sure that all information inputted in the online application is true. In answering the personality questionnaire, choose answers that will impress the company. Show the company the customer service and dedication they are looking for in an employee. Applicants must be careful with the information on their resumes. Make sure that contact numbers and e-mail addresses are all active. The objectives in the resume must meet the requirements that the position requires. Focus on the strengths that will make the employers see a potential employee. Since open interviews are conducted, applicants must not get overwhelmed. Make an impression answering questions straight to the point. Do not be shy and look the interviewer in the eyes when speaking. There might be more than one round of open interviews, so be ready. The workplace is fast-paced and quite busy. Employees are competitive, yet they also work together to provide quality service to customers and guests. Working in a team makes everyday work enjoyable despite having guests that are difficult to deal with. The company is the biggest truck stop chain in North America and is known for their quality service to make professional drivers’ lives better. Besides fuel and repair services, their travel centers also provide food. They also sell other merchandise to their customers and guests. In 2017, the company has formed partnerships with several personalities and businesses. They’ve recently partnered with Tim Love who is a restaurant owner and celebrity chef. They aim to create and add new menu items for travel centers. They’ve also partnered with Bass Pro Shops and SEC. The company has also stepped into making extra efforts for the society. They have donated $2 million for the renovation of the West Side YMCA in Knoxville. It will be renamed to Pilot Family YMCA in 2018 after its completion. 1 How old do you have to be to work at Pilot Flying J?